The man behind the incomparable Twin Eagles grilling system and stylish innovation: award-winning engineer and designer, Dante Cantal, a natural-born inventor and passionate visionary of the grill and founder of Twin Eagles. For over three decades, Dante earned his stellar reputation perfecting the finest culinary equipment, including indoor appliances and outdoor grills for many of today’s most prestigious brands. Since founding Twin Eagles, Dante and his elite team of designers, engineers and craftspeople continue to evolve and perfect the exquisite handcrafted design and advanced grilling technology that make Twin Eagles a leader in fine outdoor kitchen equipment today. of briquettes. THE RESULT: Briquettes reach temperature in a fraction of the time using less gas with an even distribution of heat. Other grill systems operate solely off the principle that heat rises, which can create hot and/or cold spots. Heat will also follow the path of least resistance. Our exclusive system uses briquette trays with channels that direct heat systematically. 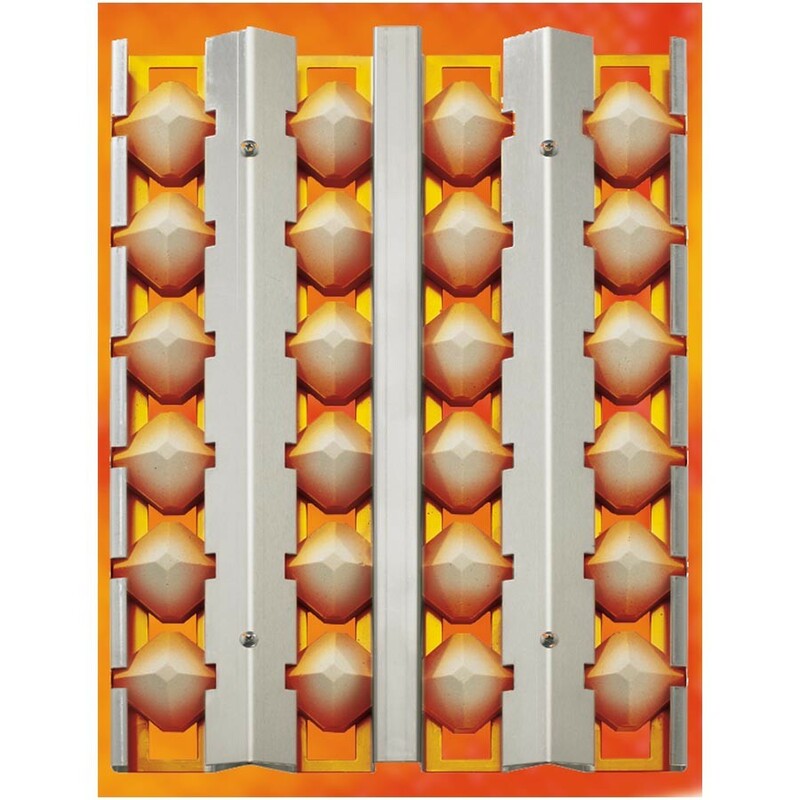 As the heat is pushed upward, it passes through ports located between the ceramic briquettes. THE RESULT: Supplies the intense heat preferred for searing and grilling. Preheats your grill faster. Minimizes gas use.